Receive a personalized and signed copy of Wooly Meets The Chickens. This adorable and beautifully illustrated children’s book will delight you. It’s Wooly’s first day on the farm and he is lonely. He decides to go meet the chickens but the rooster Butterscotch may have other ideas about that. 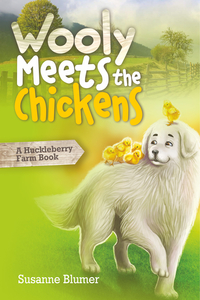 Come along with Wooly has he learns all about chickens and an important lesson in friendship. Please indicate your desired personalization on your order.